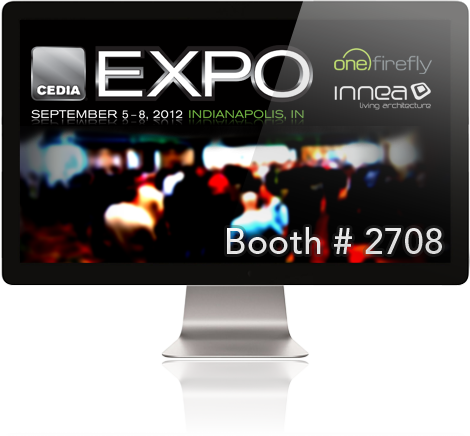 The partnership of innea and One Firefly started one year ago at the CEDIA EXPO 2011. Ron Callis, CEO of One Firefly and I, Toby Bauer, Managing Director of innea were introduced by Ami Wright, Vertical Marketing Director, Residential at Crestron Electronics. When Ami saw our innea apps she directly recommended Ron as the perfect partner for promoting our products. Once all the details of the partnership were ironed out, One Firefly became the Master Distributor and Exclusive Reseller of our virtual demo tools in North and South America. We are really happy that we found such a great partner and friend. So last year I was knocking on a lot of doors at CEDIA. However, at this year’s CEDIA EXPO, Ron and Seth Rubenstein, the Business Development Manager at One Firefly will present the innea product line up and services at their booth. My team and I are really honored! Go visit One Firefly at booth number 2708! We strongly believe that the innea livingroom app will be a tremendous value to dealers and automation integrators who wish to offer these high-tech services, without the much higher cost of investing in a full physical showroom. Home control systems dealers can use the innea livingroom app to quickly show prospective clients the functionality of a fully-equipped automated living room without the expense of setting up an extensive physical demonstration. The app includes a beautifully-rendered living room featuring lighting, audio/ video, and shading controls. The app can be downloaded for free from the Apple App Store and all features can be tested for 14 days without any restrictions, while the unlimited version can be purchased for USD 99.99 directly in the app. Every dealer should try this innovation. Dealers can now utilize the most popular smart tablet device, the Apple iPad, when demonstrating and selling to a potential client. After all, most homeowners will end up using an Apple iPad in at least one room to control their home automation devices. 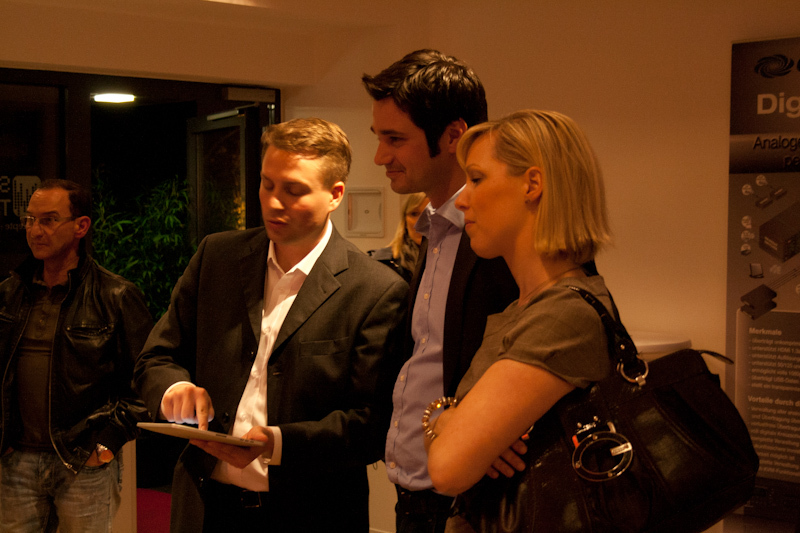 It makes sense for dealers to use the iPad as the actual demo device when giving a virtual home automation tour. Ron Callis, CEO of One Firefly LLC expressed his enthusiasm over the recent announcement of innea’s new livingroom app, “We are very excited that innea has gained approval from Apple to sell the livingroom virtual demonstration in the app store, and we think it’s going to be an awesome tool for integrators in the field to show and demonstrate automation to their customers”. Have a look at the product video. The video on the left shows innea livingroom in action. But you should really try it on a real device, it’s a completely different feeling. 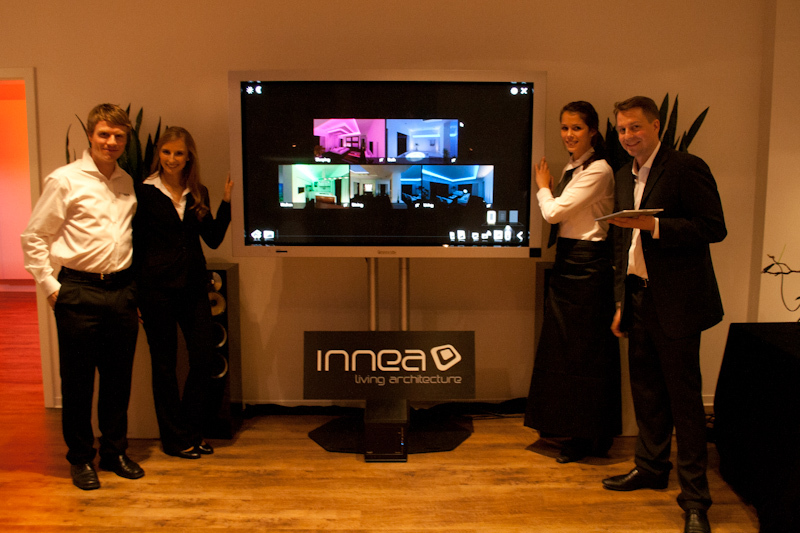 We are sure about one thing: Once you used it in a sales pitch, you are going to love innea livingroom. More information on the product page. New updates for innea software. Today we release updates for all of our sales and marketing tools. We recommend you to upgrade to the latest version as soon as possible, if you have time for it. It’s definitely worth it! 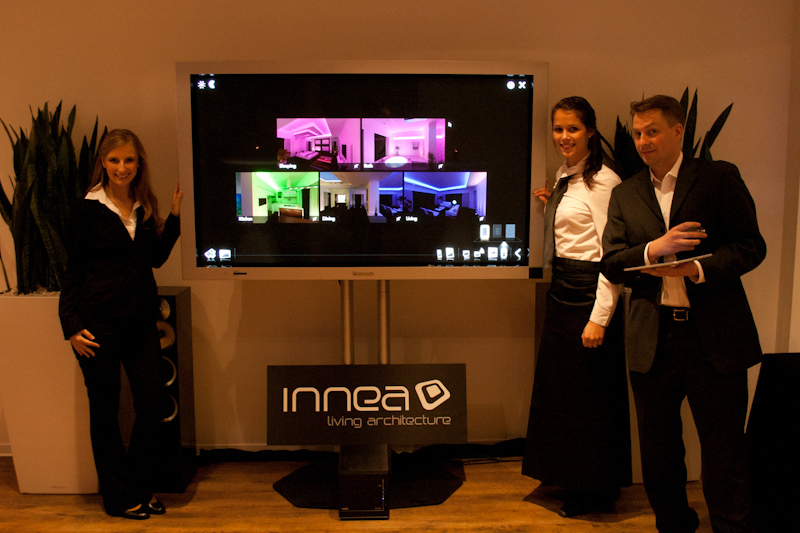 The innea livingroom was the first marketing tool we released for the web. Back in August 2011! So there where a few things to be done to catch up with the other demos. We’re especially excited about the individual controlable lightpasses. It makes the light page so much more interesting! Also you can now watch a football game on the FOX Sports channel and there is a proper loading swirl if a movie needs to download more than 1 second. We are very proud that the innea livingroom now comes with French language support, thanks to our distributor in France, MEDIACLASS. And we’re just scratching the surface here. For all that’s new in v1.2 check out the official release notes. To find out how you can upgrade your innea livingroom installation, have a look at the FAQ. If you purchased the custom version of the innea boardroom, the custom panorama loading will be much smoother now! On slow internet connections, there was an issue with the previous version where the panorama might pop into the view after loading. As well as in the livingroom we now display a loading swirl as soon as a video takes longer than 1 second to download. That should improve the user experience on very slow internet connections a lot! The French language is now supported by the innea boardroom as well, thanks to our friends at MEDIACLASS. For all features included in v1.2, have a look at the release notes. To find out how you can upgrade your innea boardroom installation, have a look at the FAQ. In the latest release of the innea cinema we improved the GUI loading during the webdemo start as well as the video loading experience with an animated swirl if loading takes too long. We also fixed the the flash replacement image to finally work on the iPad in all cases. And we are very proud that the innea cinema now comes with French language support as well, thanks to our distributor in France, MEDIACLASS. For all features included in v1.2, please have a look at the release notes. 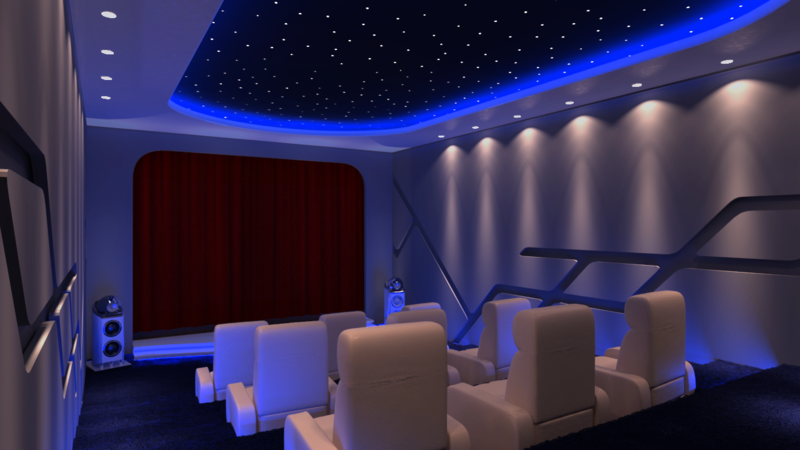 To find out how you can upgrade your innea cinema installation, have a look at the FAQ. For the innea apartment it’s just a minor release today. But nevertheless with some serious stuff inside! As with our marketing tools, you can now watch football on the FOX Sports channel. It’s a very great home atmosphere, you should try it on your next prospect! Also we removed a movie some of you did not agree with. Thank you for the feedback on that! Last but not least: In-app logos will be displayed correctly from now on, no longer depending on power-of-two resolutions. There was also a risk for the apartment to crash on some graphic cards if the logo dimensions did not match – this one is fixed as well. 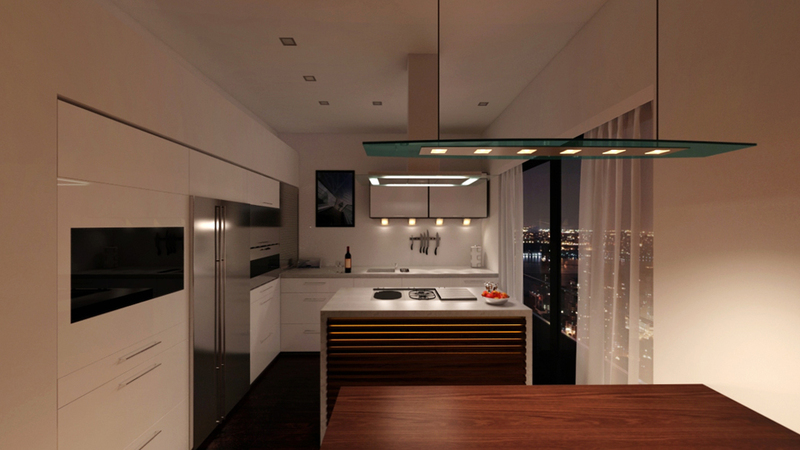 For all features included in innea apartment v1.4, please have a look at the release notes. 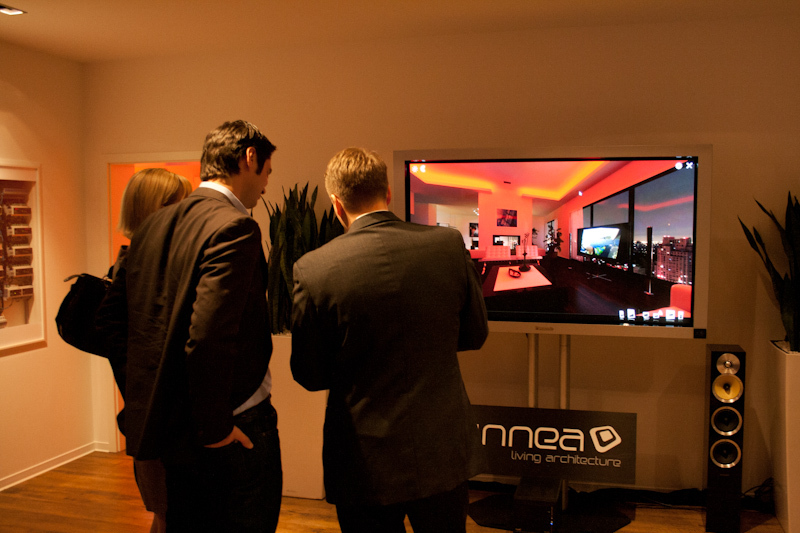 At the SOTA showfloor opening in Cologne, visitors could experience whole building home automation with the innea apartment. Wow! This IS convenient! So this is why I need multiroom audio & video! I press one button and I’m ready to leave the house. This is really great! I finally understand this system and why I need it for my new house! The innea team likes to thank Florian Hempen and the guys at SOTA for inviting us to this event. Congratulations and good luck with your new showfloor! Today the CE Pro magazine published an article about what innea products convey to the home automation industry. It’s tough enough to sell A/V without a showroom, but what about control systems? How do you show automated lighting and shade control and slick user interfaces without a demo room? 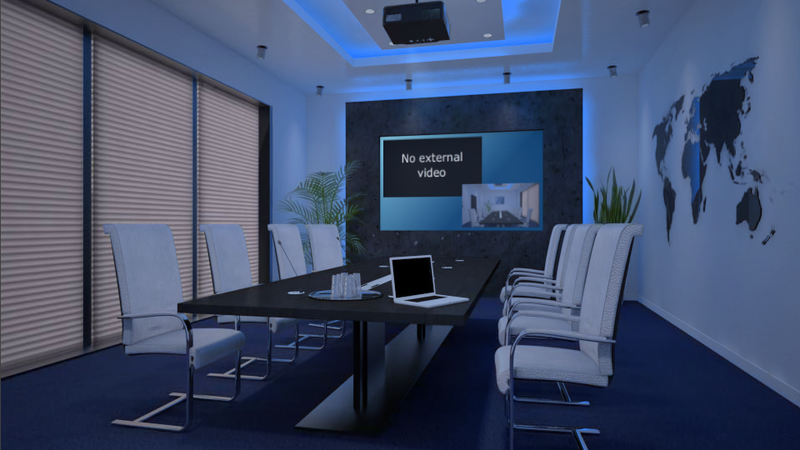 That’s the message to integrators from innea, a new software system that creates 3D virtual automated conference rooms, homes and apartments for dealers to use with clients and put on their company websites. Using a smartphone or tablet, the software allows integrators to give a virtual control system demo for an apartment, theater or boardroom environment. Have a look at the rest of the excellent article on the CE Pro website!